MIAMI -- Jan. 29, 2018 -- Carnival Cruise Line's 2,124-passenger Carnival Miracle kicked off a year-round program of seven-day cruises from Tampa this weekend, doubling the line's capacity at the port and further bolstering its position as the leader in Caribbean cruising. Carnival Miracle will offer the only year-round longer-length cruise program from Port Tampa Bay, offering an unbeatable mix of destinations that appeal to a broad range of consumers, including families seeking an attractive and affordable vacation option. "Carnival Cruise Line has been sailing from Tampa for nearly 25 years and we're thrilled to add a second year-round ship to provide our guests with an even greater variety of fantastic cruise vacation choices from this convenient homeport," said Christine Duffy, president of Carnival Cruise Line. "We would like to recognize our partners at Port Tampa Bay and the Tampa community, as well as our valued travel agent partners, for their efforts in making Tampa one of our most popular and successful embarkation ports," she added. "We're delighted that Carnival Cruise Line will have two year-round cruise ships dedicated to the Tampa market," said Paul Anderson, President/CEO Port Tampa Bay. "It speaks to the record-breaking demand of passengers in the Tampa Bay area wanting to get on a Carnival cruise." These voyages from Tampa are part of Carnival's exclusive Cozumel Plus program, which feature extended stays that provide guests even more opportunities to experience and explore one of the Caribbean's most diverse vacation destinations with a variety of exciting and unforgettable excursion choices, many taking place on Mexico's mainland. Eight-day Panama Canal cruises depart April 14 and Sept. 8, 2018, and Feb. 2 and April 6, 2019, and include a partial transit of the Panama Canal along with stops at Limon (Costa Rica) and Grand Cayman. There's also an eight-day, five-port Caribbean cruise that departs Nov. 17, 2019, and visits Cozumel, Costa Maya, Mahogany Bay, Belize and Grand Cayman. Carnival Miracle will also offer a 14-day Carnival Journeys Panama Canal cruise round-trip from Tampa Dec. 2-16, 2018, featuring Cozumel and Limon prior to a partial Panama Canal transit followed by visits to Cartagena (Colombia), Aruba, Curacao and Montego Bay (Jamaica). Guests sailing on Carnival Journeys cruises enjoy unique local dining and entertainment experiences and a number of shipboard enrichment activities. Guests sailing aboard Carnival Miracle can enjoy a wide range of onboard choices, the Caribbean-inspired RedFrog Pub, the cocktail pharmacy-themed Alchemy Bar, Nick and Nora's steakhouse located atop the ship's 10-deck-high atrium, a luxurious 14,500-square-foot spa, and a Serenity adults-only retreat. Of the ship's 1,062 staterooms, 80 percent offer either an ocean view or private balcony. Family-friendly options include Seuss at Sea, an exclusive partnership with Dr. Seuss Enterprises, Hasbro, The Game Show, with larger-than-life adaptations of the company's iconic games and complimentary programming for children in three age groups – Camp Ocean (ages 2-11), Circle "C" (12-14) and Club O2 (15-17). 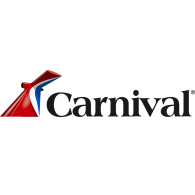 Carnival Cruise Line, part of Carnival Corporation & plc (NYSE/LSE: CCL; NYSE: CUK), is "The World's Most Popular Cruise Line®" with 25 ships operating three- to 16-day voyages to The Bahamas, Caribbean, Mexican Riviera, Alaska, Hawaii, Canada, New England, Bermuda, Europe, Cuba, Australia, New Zealand and the Pacific Islands. Two 133,500-ton Vista class ships are currently scheduled for delivery - Carnival Horizon in 2018 and Carnival Panorama in 2019. Additionally, two new 180,000-ton ships are scheduled to enter service in 2020 and 2022.